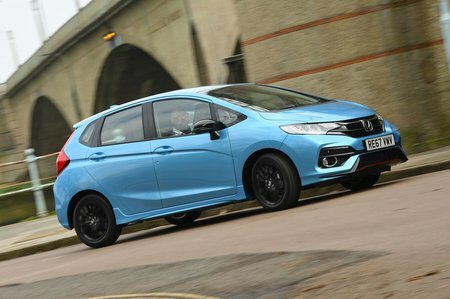 Honda Jazz Boot Space, Size, Seats | What Car? Even adults taller than six feet will have no problem making themselves comfortable in the front of the Jazz. There’s a huge amount of head room, and shoulder room is generous. Certainly, anyone with long legs will be able to stretch out easily. Both front doors come with a pocket big enough to accept a medium-sized water bottle, while just in front of the gearlever are two cupholders, with a third positioned on the dash to the right of the steering wheel. The final cubby is underneath the armrest between the two front seats and can easily fit a mobile phone, wallet and set of keys. 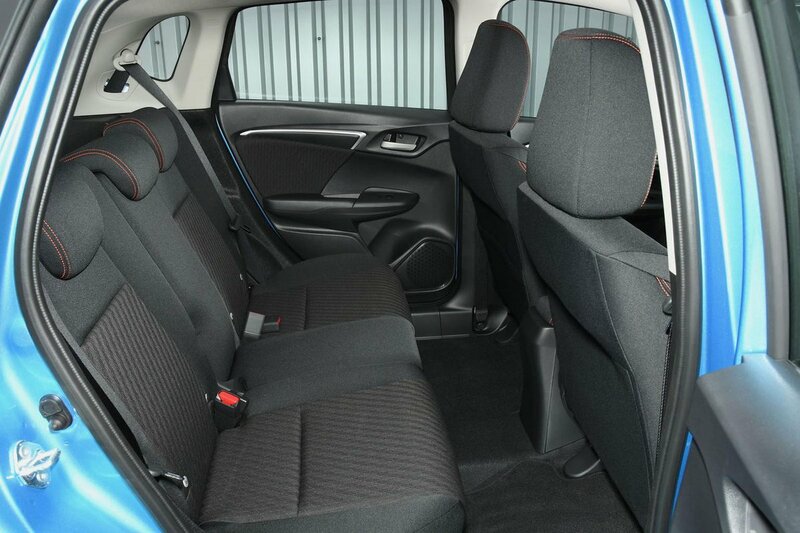 The Jazz’s class-leading interior space extends to the rear. Two tall adults can sit in the outer rear seats without their heads touching the ceiling or their knees brushing against the front seatbacks. Three adults will find things more of a squeeze, but the middle passenger has the benefit of a flat floor. Both front seatbacks come with a pocket for storing maps and other papers, while each outer rear seat gets a generous armrest. Both rear doors get a small but useful pocket for storing a small water bottle. Every model has impressively flexible seats. The front passenger seat has a wide range of fore, aft and rake adjustment, although height adjustment is available only on range-topping EX trim. The seatback can be laid flat, allowing long items to be pushed up to the dashboard. The rear seats are even more flexible. Their backs can be tilt-adjusted, split in a 60/40 configuration or pushed forward completely flat. The bases can also be folded upwards to lie against the seatbacks so that tall items up to ceiling height can be stowed widthways across the vehicle. 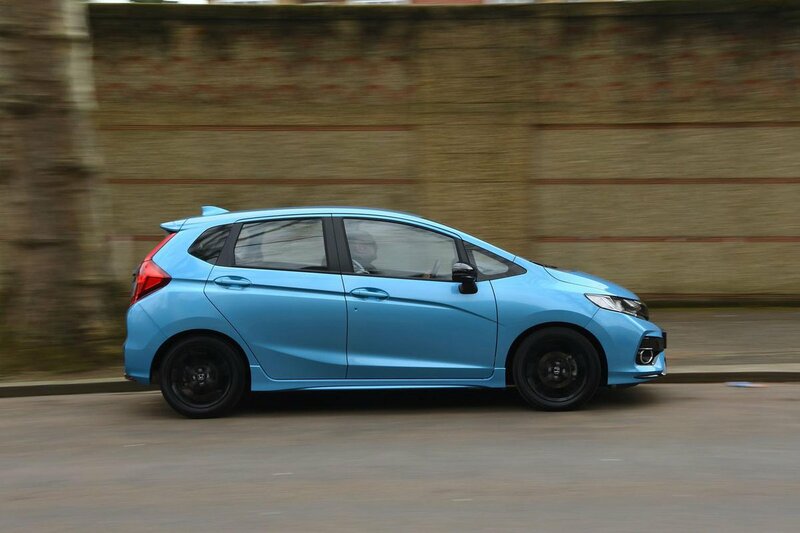 The Jazz’s boot is nearly as big as that in some small family cars and is very well thought out. Admittedly, there’s a small lip to lift bags over, but the boot is quite close to the ground so this isn’t a huge issue. The sides are generally flush with the car’s body, so it’s possible to make the most of the available space. There’s certainly enough room for a large pushchair or two large suitcases and other items. Folding the rear seats flat creates an even larger and equally uncluttered load area. Below the boot floor are more storage spaces for smaller items you may wish to keep out of sight.